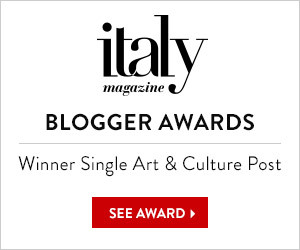 2014: Dolce and Gabbana’s year of Siracusa! Sicilian fashion duo Dolce & Gababana have been taking their inspiration from Sicily for several years. I usually try to report on it as soon as the collection comes out, despite the fact that I am about as likely to end up owning a real D&G outfit of clothes as I am to hire Brad Pitt as my personal masseur and Angelina Jolie as my hairbrush cleaner. 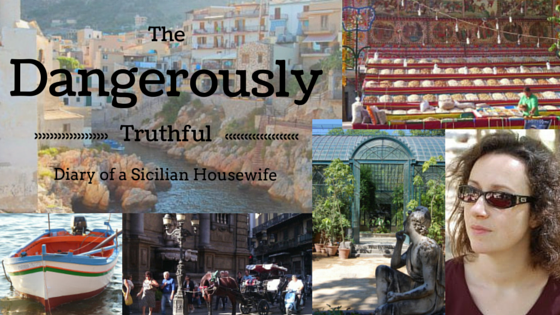 I’m afraid I’ve had too much on my plate lately (figuratively, but also literally, to be honest) so, in true Sicilian style, I am late this time. I think it was worth the wait, though. 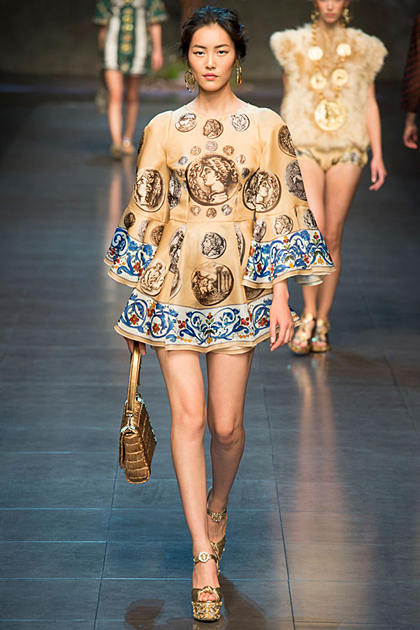 D&G went a bit coin mad this year. Me too! You cannot visit that incredible museum and emerge unchanged! The temple on This blouse is in Agrigento, another major ancient Greek city in the south of Sicily. It is a vast site containing lots of temples, which explains why it is a UNESCO World Heritage Site. 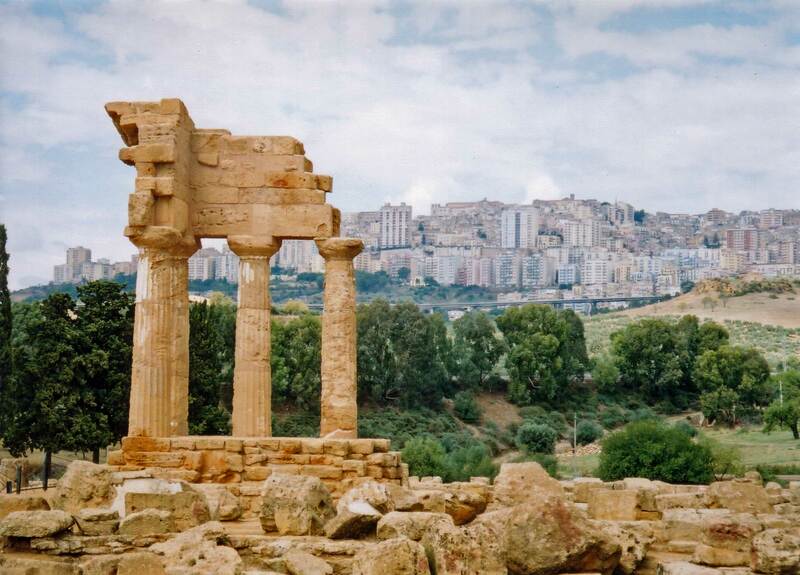 At Agrigento there is also a botanical garden created by the African conquerors of Sicily about 1,000 years ago, with samples of almost all the various citrus trees they brought to Sicily and cultivated throughout the island, along with a vast selection of other vegetables. It is called the Garden of the Kolymbetra. You can still see the African irrigation system, which brought water from a cave and directed it in channels throughout the garden. It is best to visit in June when the trees are a mass of sweet-scented blossom, or December, when the oranges and lemons provide a blaze of colour. And now, we’re back to money again. Money money money! 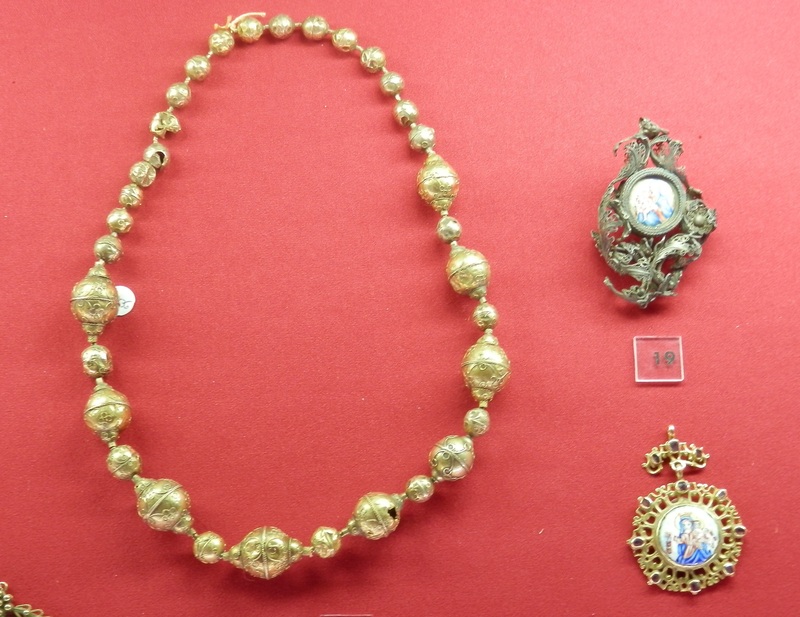 With medieval style necklaces, also seen in the Medagliere of Siracusa. 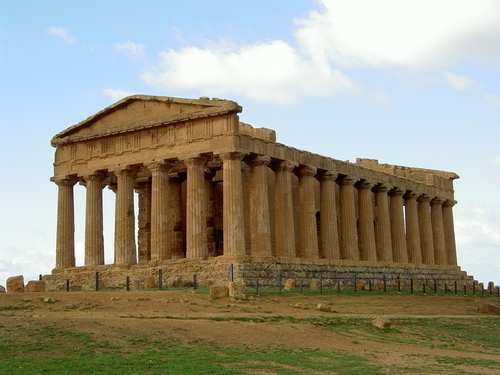 …like these remains of another Greek temple in Agrigento. 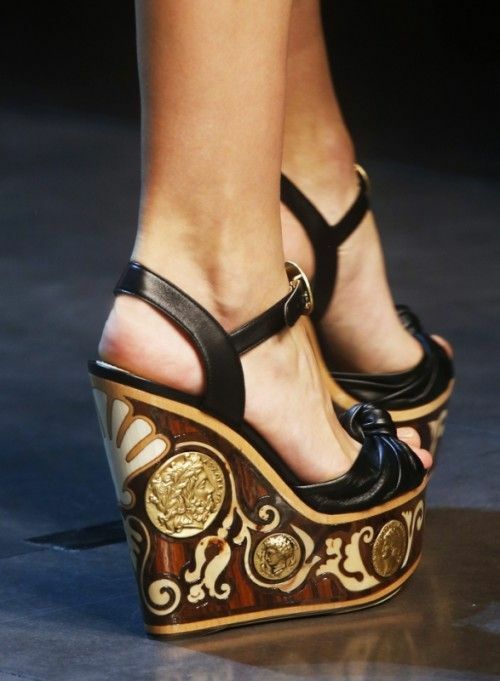 Did you notice how their shoes have coins, Greek temple motifs and two actual Greek columns for heels? I saw the shoes on the left in a shop. 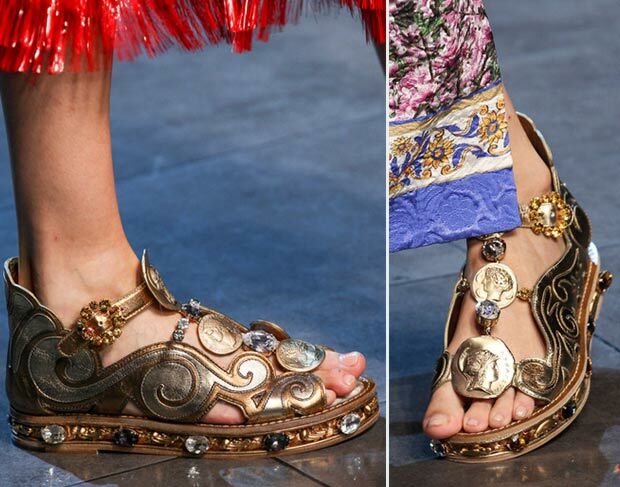 The heels were made from three colours of wood, inlaid in the style popular among medieval Italian craftsmen, and the coins are actual gold metallic discs set into them. This standard of craftsmanship probably explains why I have not been able to find a cheap (by which I mean affordable) rip-off version of these sandals, despite scouring all the best Chinese shoe bazaars I know. … whilst these are ancient goddess sandals, this time an authentic style directly imitating the ancient statues of female deities in temples. The Romans wore such sandals with socks inside, as they thought bare toes were uncouth. Wearing sandals with no socks would have been like going out in your house slippers. Looking at the state of this model’s toenails I think maybe she should have worn socks, too. This fabulously accurate replica of the statue of Athena, which once stood in the Parthenon in Athens, has been created in Nashville, Tennessee. being Greek, she did not wear socks. 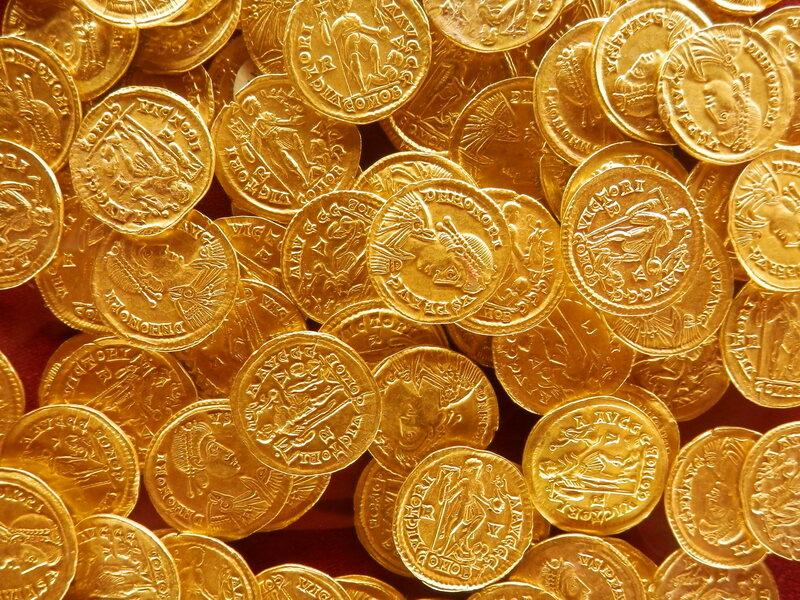 Coins and jewels all over! 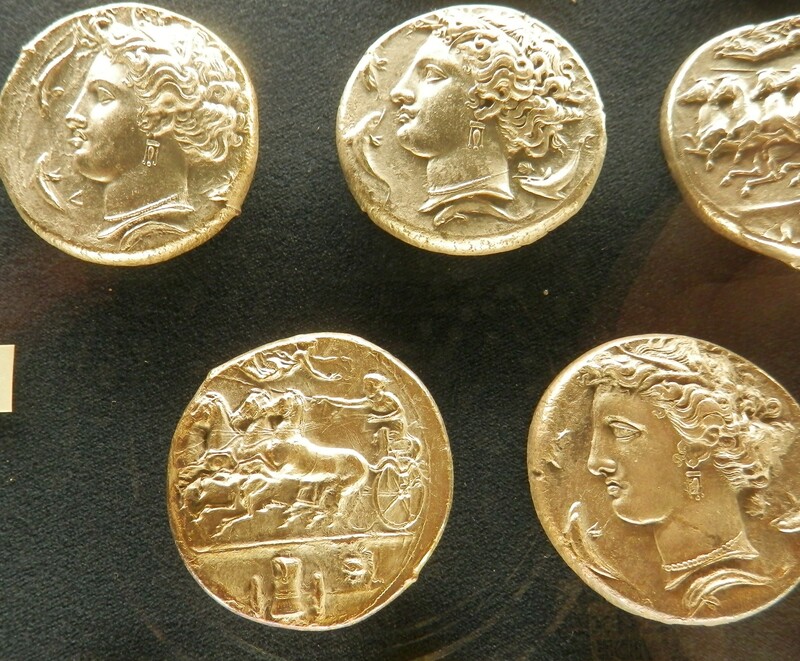 A belt inspired by the coins of ancient Syracuse. The Goddess at the centre was a daughter of Nereus called Arethusa, who fled her home under the sea and emerged in Syracuse in the form of a fresh water spring. She was the patron goddess of the city, because the drinkable water which she gave the people meant it was possible for them to live there. And what about this one to finish off? A temple, some coins and a whole lot of bling! 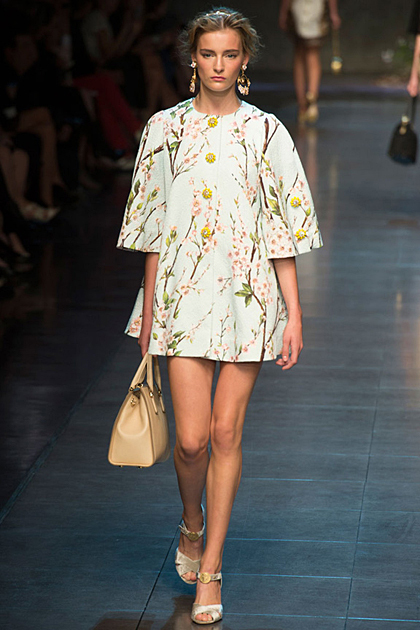 I was sad to see that D&G have turned away from Sicily for their winter 2014-15 collection. I hope they will be back soon! I love this collection – I have even bought a couple of knock-offs this summer! Ooh, where ? I want them too! It’s actually some Italian knock-off story in Moscow, ACE or something? Love them! What a beautiful collection!! If only I had the body to wear them like the models, then I’d be broke because I would have spent way too much! I guess I’m lucky, then..haha! I wanted to thank you for your explanation behind the fashion…what the temples were, the flowers, the coins…makes the collection much more exciting! They should hire you to do commentary during their runway show! Wow! Those shoes are amazing! So if you could have a free pair, which ones would you choose? 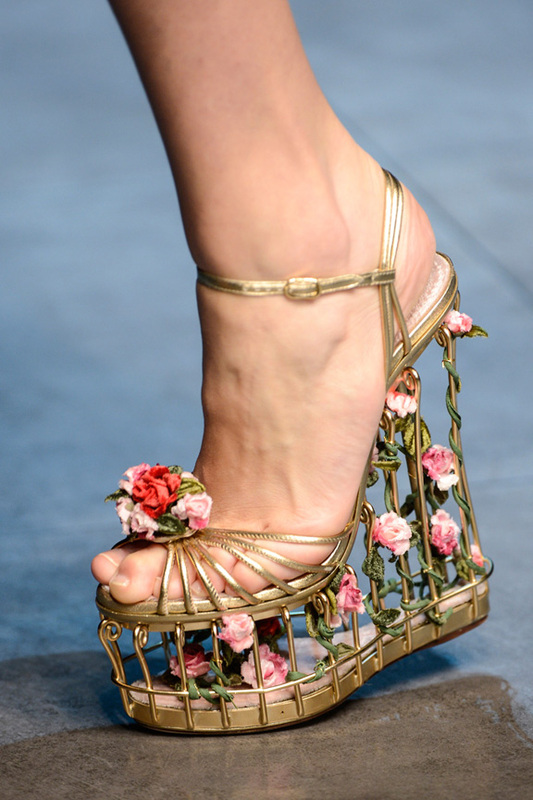 The ones with the flowers but I don’t know where you could ever wear them! Haha ! I hear you, Nina! I am on the cusp, still liking these shoes but probably, if I’m honest, not likely to wear them very often!!! Ha ha haaaaa! You can only touch the computer screen, I’m afraid!! !